Highland Park and the broader Northeast Los Angeles (NELA) area are in flux. Storefronts come and go, unfamiliar faces become a familiar fog and color wanes to white. The streets of Los Angeles are no stranger to such change, for almost every influx of immigrants, from the Italians to the Vietnamese, have once called east of the LA River home. Highland Park and its surrounding neighborhoods have served these people of color as important ethnic enclaves and autonomous communities since their white flight, but do increased property values and neo-bohemian appeals justify the forced displacement of low-income individuals and families of color we observe today? As the economic and cultural centers of the world, cities are the most striking reflections of society, for no other built environments display a more pronounced manifestation of prevailing socio-economic hierarchies. If we believe that a black man has just as many rights as a white one, then why do we seem complacent or apathetic toward people of color losing their right to the city? Like it or not, Occidental College is not independent from these developments. Various Occidental programs and departments partake in transactions with the local community that benefit our student body. Whether it be volunteering in the annual Cesar Chavez day of service, your sociology class field trip or even your agua fresca run to Jugos Azteca, we as a college community benefit from NELA’s socio-cultural fabric. Our academic and personal experiences are greatly influenced by these opportunities for formal and holistic community-based engagement, and Occidental makes that very clear in their marketing to prospective students. The issue arises when Occidental and other institutions, in the race to secure more faculty and student housing, buy real estate in the local neighborhood and, in doing so, displace multi-generational residents. The most poignant local example is USC, which in its efforts to expand its campus along the Figueroa corridor has evicted a number of tenants. Despite efforts to obtain community approval for its aggressive expansions by committing $20 million to LA’s Affordable Housing Trust Fund, USC’s benefits to the pre-existing local community are questionable, and residents remain displaced. Albeit much smaller in scale, Occidental also has a storied history of efforts to expand its campus amenities. The college is active in the real estate marketplace and currently owns approximately 40 residential units and one commercial property on York Boulevard, slated to open as the new Oxy Arts space. The purchasing of this former liquor store-turned art gallery and retail space in 2014 mobilized the inception of the Principles Working Group (PWG), a committee of students, staff, faculty and community members that created a series of anti-displacement guidelines they sought to get approved by the board of trustees. Their actions were a collaborative effort to protect a mutually beneficial and meaningful community-college partnership. These guidelines, hereafter referred to as the “principles,” not only enumerate mutual goals to promote the public good within the community and in community-based academics but also serve as an accountability and navigational tool for the college community and the board respectively. Enumerated principles — such as the promotion of diversity in race, experiences and other socio-cultural identities within the community — are made actionable by subsequent guidelines. These guidelines promote transparency and open communication with community advisory groups and community partners during the purchasing and development process. This ultimately ensures Oxy-owned real estate properties preserve the social character of the neighborhood, are beneficial to the community wherever possible and remain accessible to multi-generational families when applicable. The PWG sought to establish this collaborative approach with the board upon the purchase of the Oxy Arts space and have been tirelessly striving to do so for the past five years, unfortunately to no avail. Despite numerous attempts to compromise on the language around displacement and accommodations for the community, the board of trustees’ Building and Grounds Committee (B&GC) deemed the principles too restrictive for their real estate ventures on the grounds of needing the leniency (or the option to displace residents) to promptly purchase property. Without these principles to guide the board, such “leniency” may be the norm for future real estate purchases. Occidental recently acquired the Tolond Way properties in an effort to secure housing for veteran students. In doing so, they nearly displaced every pre-existing tenant save for one elderly resident, who was relocated only after pressure from the PWG. The rest of the former residents have been forced into the hostile rental housing market, vulnerable to a severe housing crisis and unprecedented class immobility. “From time to time Occidental College considers and acquires property to provide needed residential housing for faculty, staff and students, as well as, commercial property, allowing for more effective utilization of the “on campus” infrastructure for academic and educational support. Assess the potential impact of development and/or purchase on the surrounding community, including consulting with community partners and/or a community advisory group. Consider uses that facilitate mutually beneficial community partnerships and community engagement. For commercial property not anticipated to be occupied by the College, prioritize individual business owners who engage the neighborhood, including the College. The issues with the reduction of the principles are twofold. First, they lack the contextual information and convictive language that would enable pro-community guidelines to remain effective during periods of transition or uncertainty. Secondly (and more significantly), they represent yet another example of our college administration deliberately choosing to act against the needs of the marginalized. From the outcries ignited by a former trustee’s blackface controversy, to the threats against the imperative Multicultural Summer Institute, to the failed promises following the occupation of 2016, our college has consistently circumvented its accountability to the students it exploits. These events are not isolated occurrences; they clearly exhibit fundamental disjunction between what our college claims it is and how it chooses to act. Our college should not laud itself for being incredibly diverse (by liberal arts college standards) if it willfully strives to excise the few academic spaces and resources dedicated to Occidental’s minority. In this same light, our college’s exploitation of the local community not only endangers our opportunities to learn and engage with the complexities of our local neighborhood, but is also counter to the equitable world Occidental claims it pursues. Highland Park is changing, but so must we. Our college should not contribute to the displacement of local individuals, just as it should unpack and confront the racism that pervades its legacy. If we wish to remain a part of the NELA community, we must reconsider how and why we engage with HLP and for what end. 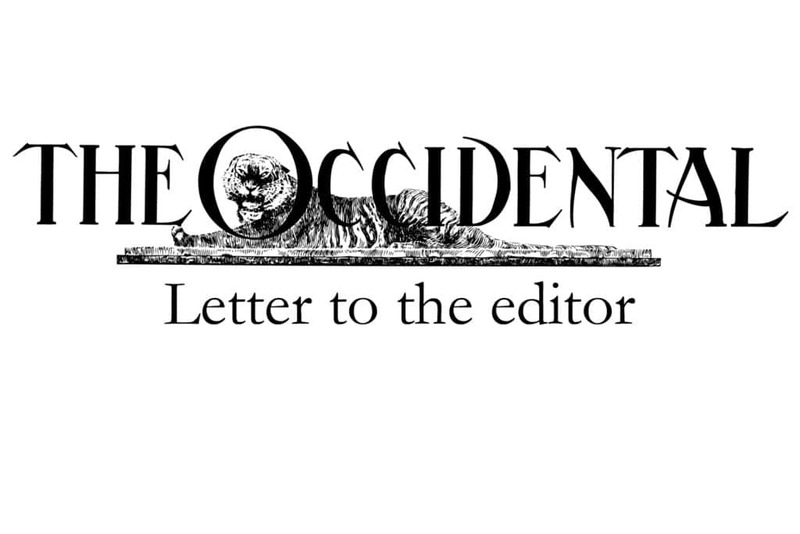 This article was written by Diego Julian Zapata on behalf of Occidental Students United Against Gentrification. OSUAG is a student-led organization that strives to educate and mobilize the college to support low-income and multi-generational members of the Northeast Los Angeles area.